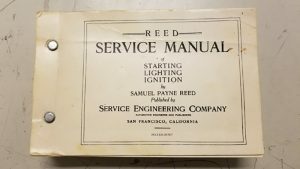 Mitchell 1’s roots go back to 1918 with the first printing of the Reed Electrical Manual of Starting, Lighting, Ignition published by Service Engineering Company. Many years later, that automotive repair data was added to the vast database comprising the renowned Mitchell Manuals content library and as they say, the rest is history. Through the decades, that content grew and evolved to become the foundation of ProDemand®, Mitchell 1’s industry-leading online repair information software. The original manual was conceived by Samuel Payne Reed in about 1916 while he was head of the Automotive Department of Heald College in San Francisco. The first manual was a compilation of electrical specifications and wiring diagrams, along with service data that covered general electrical, with no mechanical specifications. In the early 1920s, the company was purchased by the Schwabacher-Frey Company but continued to be known as the Service Engineering Company. The year 1927 saw another change of ownership, with the sale of the company by Schwabacher-Frey to G. A. Seiler, Sr. 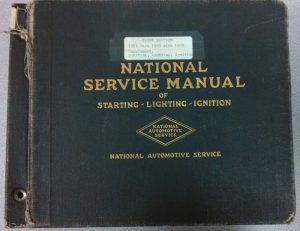 The company name was changed to National Automotive Service and the title of the manual changed to the National Service Manual. By 1936, sections on carburetion, engine, brakes, and other mechanical components had been included so that the manual was in fact a Shop Manual. During the war years of 1943-45, operations became dormant but the office remained open. In 1945, the first postwar manual was issued with a new format. The “Advance Data Release” was a 16-page issue with brief specifications and tune-up data only. The manual continued to grow through the 1950s and 1960s with expanded data and advancements to the printing process. Glenn Mitchell managed a parts counter for a Chrysler dealership in San Diego CA and saw that body shops needed better parts information and pricing data. He started compiling lists of the most commonly requested factory part numbers and prices. When he began sharing his lists with others, he realized his concept could be a valuable resource that could help automotive professionals on a larger scale. In 1946, he Mitchell founded Mitchell Manuals in his garage, producing the automotive industry’s first collision estimating guides to include parts illustrations, prices and part numbers. In 1969, Mitchell Manuals acquired National Automotive Service as a division of Glenn Mitchell Manuals and that operation was moved to San Diego. 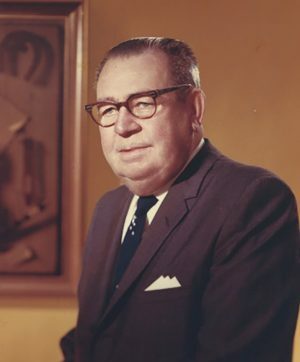 Mr. Mitchell passed away in August 1971, and in February 1972, the business was acquired by Computing & Software, Inc. (which in 1973 became the Cordura Corporation, with Mitchell Manuals becoming a division of that public corporation). The 1970s saw a significant expansion of content developed and published. In 1971, the first lineup of service and repair manuals for import cars was published, and in 1973, the first light truck service and repair lineup of manuals was published. Throughout the 1970s and early 1980s, the publishing operation continued to advance and content grew exponentially. In 1986, the Thomson Corporation purchased Mitchell Manuals from Cordura. The next year, in 1987, Mitchell entered the commercial vehicle segment of the industry by publishing the first edition of the Mitchell Manual for Light, Medium & Heavy Duty Truck Maintenance, which also included service operations. The company’s next major product enhancement came in 1989 with the introduction of ON-DEMAND™, the first computer-based auto repair information product for repair shops. 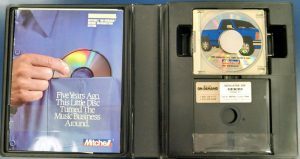 This ground-breaking software on CD-ROM discs gave technicians instant access to a vast source of technical information to expedite auto repairs. The 1990s saw many innovations, starting in 1993 with the release of ON-DEMAND for Windows, the industry’s first Windows-based resource for automotive repair information. Also in 1993, the third and final edition of the Mitchell Manual for Medium & Heavy Duty Truck Service & Repair was published. This was closely followed in 1995 with a major innovation for the automotive aftermarket: The introduction of Series I, a Windows-based shop management system that offered auto repair shops the ability to quickly access details about their customers’ vehicles and their business operations that they previously had to look up manually in hard copies of repair orders, invoices, parts orders and employee time cards. The solution was available to single users and was originally delivered on five floppy discs, purchased outright by the customer. In 1996, the commercial truck printed manuals were replaced with ON-DEMAND™ Truck Edition on CD-ROM, the industry’s first computerized repair information system for medium and heavy trucks. 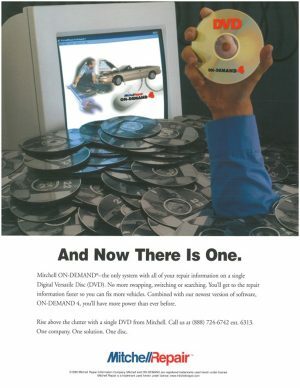 And in 1998, OnDemand4 was released, the industry’s first automotive repair data on DVD — a 32-bit application with all information delivered on a single DVD instead of multiple CDs. In 1997, Series II shop management added inventory and purchase order control, and in 1999, CD-ROMs replaced floppy discs for installation of the software. In 1998, Snap-on Inc. acquired a majority interest in the repair division of Mitchell, forming Mitchell Repair Information Company. And in 2001, the company name changed from Mitchell Repair to Mitchell 1. No matter what you call the decade of the 2000s — the “double ohs,” the “aughts” or the “noughties” — the 10 years from 2000 to 2009 were filled with significant milestones. In 2002, Mitchell 1 took the next big step and introduced OnDemand5.com™ – a web-based application accessed online, greatly increasing the technician’s ability to retrieve repair information quickly. For the first time, up-to-date repair procedures, specifications, OEM parts, factory scheduled maintenance and TSBs were just a click away, with new content added monthly. 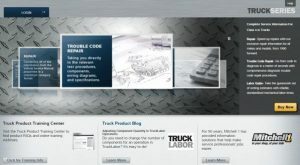 Parts and labor estimating and color wiring diagram quickly followed in the product, along with an interactive community offering tips and advice from other service professionals using software, making OnDemand5.com the industry’s most complete source for automotive repair data. The shop management software was also making progress in the 2000s. 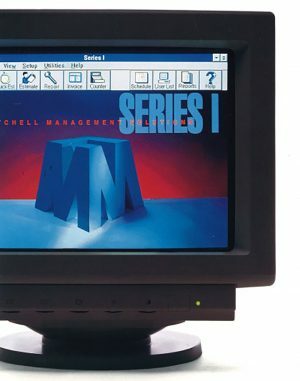 In 2002, the first electronic parts catalog was integrated with the system, and in 2004, the product was renamed Mitchell 1 Manager™. The Manager Forum, an interactive community of product users was introduced in 2005, allowing active users to share ideas, ask questions and communicate with fellow shop owners and auto service professionals. 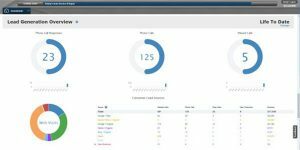 And in 2009, the system transitioned to an SQL database platform and SE was added to the product name — Manager™ SE — to mark the new generation of the software. In 2004, a group of aftermarket shop owners met in a series of focus groups and the concept of a consumer loyalty management solution was overwhelmingly endorsed as a much-needed resource to help shop owners retain existing customers and acquire new ones. 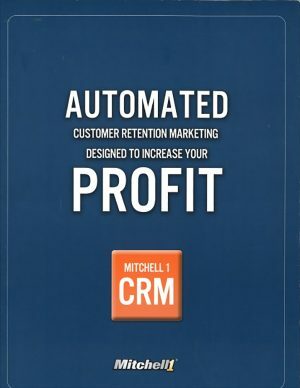 That meeting led to the introduction of the Customer Retention Marketing (CRM) service, launched in 2005 with service reminder postcards sent to consumers on behalf of shops. OEM service reminder emails were added to the service in 2006. This evolved into the eCRM marketing service in 2008, offering email-only campaigns (no postcards), along with an email match service to help shops collect and add email addresses to their customer databases. 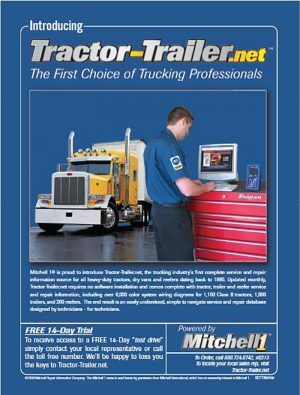 On the commercial vehicle side of the business, Mitchell 1 launched web-based Tractor-Trailer.net for heavy duty trucks in 2006, followed in 2009 by Medium-Truck.net, online repair information for medium duty trucks. In the current decade, the “twenty-tens,” momentum is continuing for all Mitchell 1 product lines. In 2011, the marketing service took another leap forward to include social media and other digital marketing strategies, and was renamed SocialCRM to encompass the new slate of services offered to help auto repair shops grow their businesses. These included verified consumer reviews, automated email campaigns, social media content and management strategies, dedicated support agents and target market promotions. In 2012, the auto repair information trusted by generations of service professionals was transformed again, this time presented in ProDemand®, launching the next generation of Mitchell 1’s renowned automotive service data. In a single lookup, ProDemand returns all relevant repair information for the vehicle selected, saving time and helping technicians work more accurately. SureTrack® real-world content was added to ProDemand later that year, adding industry-based knowledge from automotive professionals and actual auto repairs to the OEM content, all delivered in a single, user-friendly application. 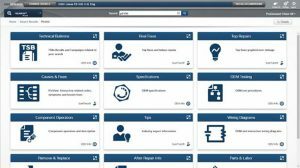 Between 2010 and 2015, the shop management software team made numerous enhancements, including the Auto Updater (offering internet software updates), an electronic tire catalog, an advanced appointment scheduler feature, plate-to-VIN decoding, and numerous other new features and major functionality updates based on feedback from customers. In 2016, the software expanded to cover medium and heavy trucks with the launch of Manager™ SE Truck Edition, designed for shops that work on Class-4-8 vehicles. In 2017, ProDemand introduced 1Search™ Plus, a major enhancement based on advanced search technology. The new feature delivers all information for the selected vehicle in a unique graphical layout, organized in specific categories that match the way technicians approach diagnostics and repair. Also in 2017, SocialCRM launched LocalSearch, a powerful digital marketing service designed to help auto repair shops build their businesses through improved online presence, starting with a professional website optimized for search engines. And momentum continues in 2018, with new technologies being developed and many enhancements planned for all product lines. One thing that has not changed over the years is Mitchell 1’s recognition as the standard for excellence in delivering solutions that help independent vehicle repair shop owners work more efficiently — from the moment the customer drives up, to the final invoice and beyond. Our proud tradition of serving as the connection point between the automotive industry and automotive repair shop forms the foundation for every innovation to come in the future. Ahead of the curve in vehicle repair since our beginnings in 1918, Mitchell 1 brings a unique historical perspective, unparalleled industry expertise, and a dedication to innovation to the thousands of technicians and shops we serve. As our 100 years of experience can attest, we’re constantly looking forward — with total shop solutions to help our customers gain efficiency in everything they do.